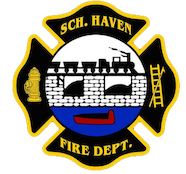 June 25, 2013 -At 21:59 the Schuylkill Haven Fire Department was dispatched to 30 Jack and Jill Drive N., Manheim Township for possible house fire. SCCC advised all responding units of a house struck by lightening and a smoke condition in the basement. Crews arrived on scene and confirmed the residence was indeed struck by lightening. Fire personnel checked the house for extension using thermal imagery cameras and performed ventilation using PPV (positive pressure) fans. All Schuylkill Haven units were on scene for approximately 1 hour. Chief 723 (Motko) had command. For the latest information about the 110th Six County Convention hosted by the Schuylkill Hose Company #2, please visit http://www.schuylkillhose.com. The complete schedule resides on Station 2’s homepage.